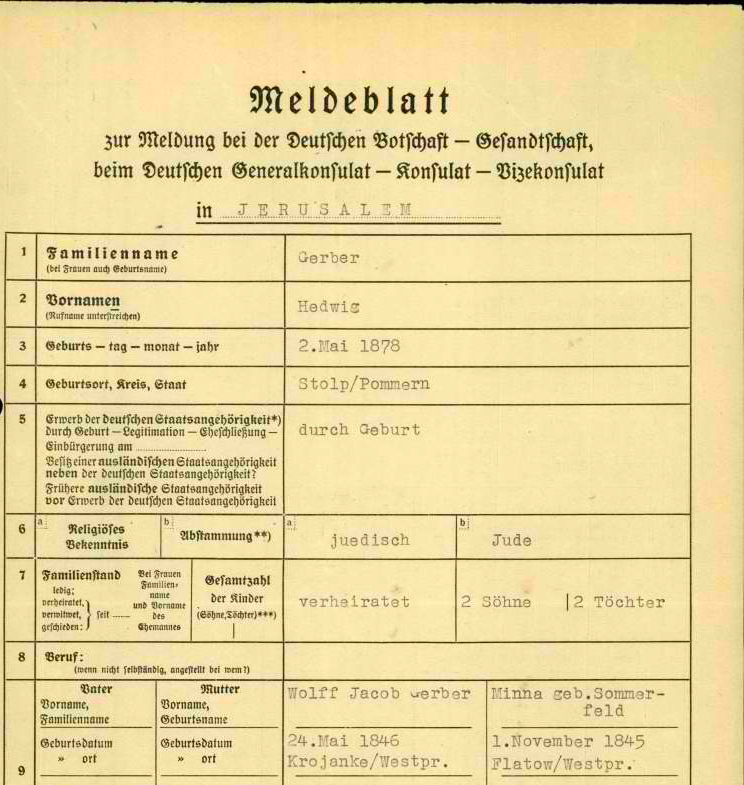 Jews who are residents of the Eretz Israel/Palestine with German citizenship: Forms with registration of personal details, 1938-1939. These were found in the Israel State Archives. They are part of the collection of files from German Consulate found in the State Archives. #1 Familiename = Surname and maiden name for females if registered. Two separate fields on CSI. #5 Not to be typed in CSI. #7 Fanukuebftand = Spouse, given name and death date if registered. #9 Bater = Father's given name and birth date. 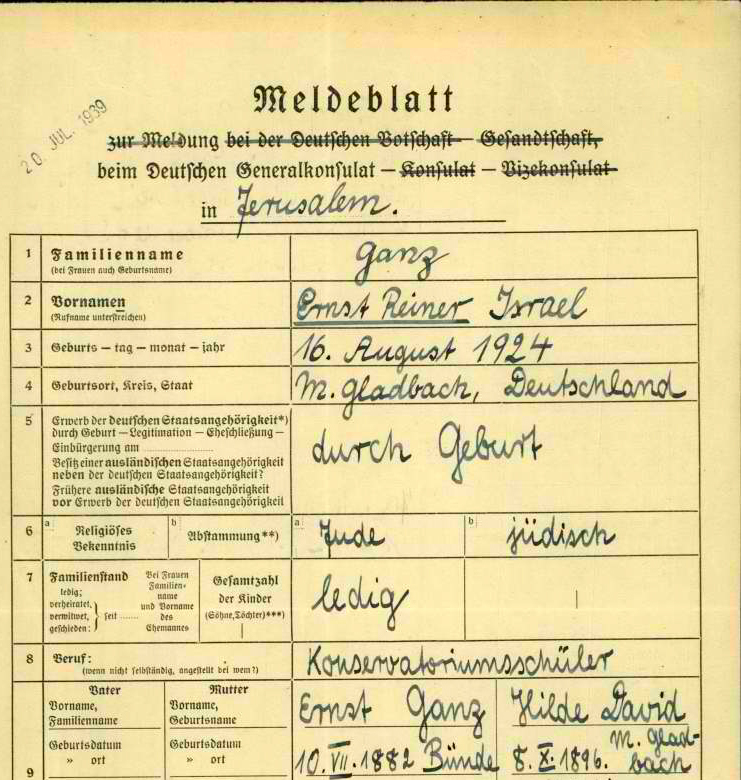 #9 Mutter = Mother's given name, surname/maiden name (if registered), birth date.